Midfielder who has earned caps in the English League One and League Two, as well as the Scottish Premier League. He gained prominence coming up through the West Ham United youth program. He began his youth career in the Tottenham Hotspur academy. He remained there until he was 13 years old, when he transferred to the West Ham United academy in 2009. In 2014, he signed a permanent transfer deal to join League One team Colchester United. During his youth career, he also earned caps with the Engand U-17 and U-18 teams, including for the latter in Aprill 2011 against Italy. He was born in Swindon, and subsequently raised in Essex, England. 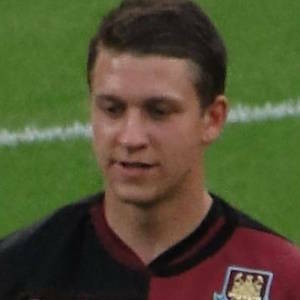 His father, John Moncur, is a former midfielder who played in the English Premier League. He played for manager Sam Allardyce as a training member of West Ham United during the 2013-2014 season.